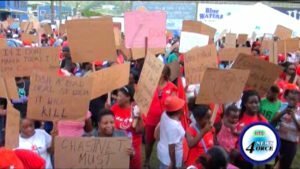 On May 17th the United Workers Party [UWP] held its first public rally since taking Office on June 6th, 2016 in Vieux-Fort town. 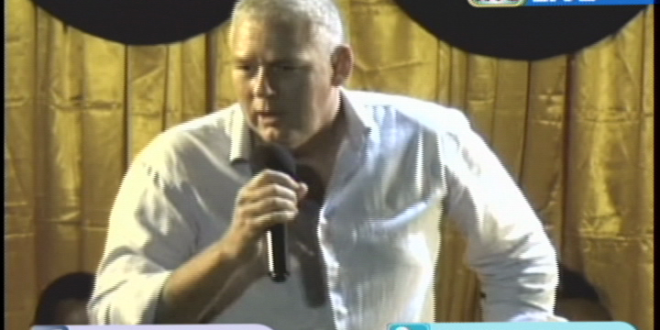 The UWP’s first public rally in almost 12 months came during a period of uncertainty over various socio-economic proposals and policies of the incumbent Administration led by Prime Minister Allen Chastanet. 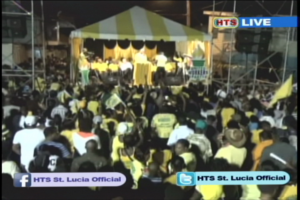 The controversial and much talked about agreement between the government of Saint Lucia, and Desert Star Holdings, [DSH] Ltd, was promoted as the key agenda item, along with other UWP achievements, and development plans during the Party’s first 12 months in Office. Six UWP Members of Parliament including Bradley Felix, Dr. Gale Rigobert, Herod Stanislaus, Ezechiel Joseph, Guy Joseph and Prime Minister Chastanet glanced at the DSH issue – collectively assuring the project’s potential for job creation and investment in the south. Former Prime Minister and incumbent Vieux-Fort South MP, Dr. Kenny Anthony was the focal point of a consistent UWP verbal assault. The government has cast doubt on the authenticity of documents purporting to be the Framework and Supplemental Agreement on DSH that are now circulating in public domain. The details of the supposed leaked Framework and Supplemental DSH Agreements were not addressed directly by speakers at the public rally. 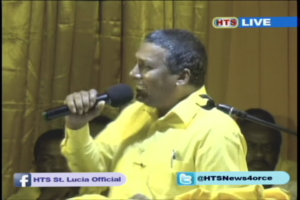 However, the Prime Minister and Micoud South MP did attempt to clarify speculation by various civil society groups including NGOs and, the main Opposition Saint Lucia Labour Party [SLP] on the progress of the DSH deal, the financials, as well as environmental and other socio-economic concerns. In Vieux-Fort town on May 17th, 2017 the Prime Minister assured, only one phase of the master development has been approved – the horse-racing track earmarked for over 200 acres of Beausejour, Vieux-Fort land. The rest of the ‘pearl of the Caribbean’ project is still being ‘developed’. Listen below. 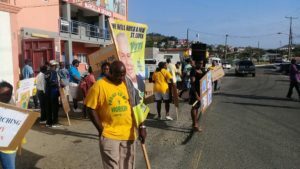 The UWP’s public rally on May 17th was preceded by a demonstration by an emergent civil society group calling itself the Vieux-Fort Coalition of Stakeholders for Development [VFCSHD] to promote their pro-DSH stance. VFCSHD expects job creation from the DSH deal. A simultaneous demonstration opposing the current DSH Agreement was held in Castries by the SLP who were joined by numerous NGOs.